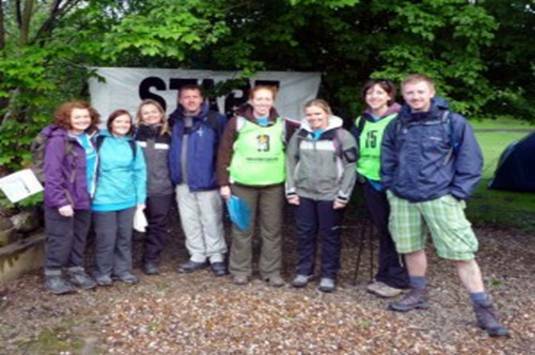 We have been overwhelmed by the support and generosity of individuals and organizations. 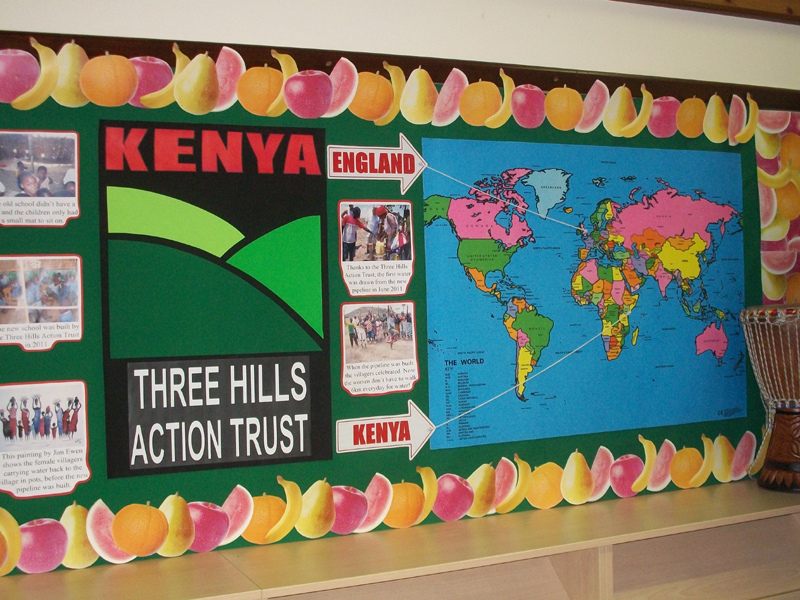 These are some whom we are putting on our own “Roll of Honour” but that does not in any way decry the donations from many which ensure we can meet the needs of the schoolchildren. 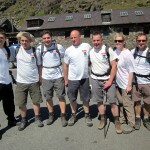 Thanks to Christopher Plumb, fellow Directors and employees and customers of Plumbs, together raised over £12,500. 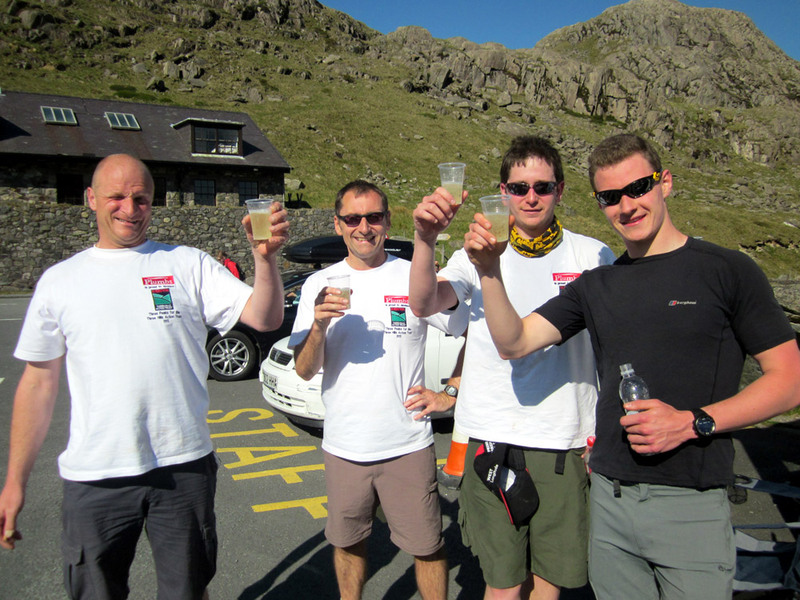 Indeed, Plumbs have placed us on their website, encouraged customers to support us and sponsored us when their employees did the Big Three Peaks of Ben Nevis, Scafell Pike and Snowdon. Read about that fundraising effort. 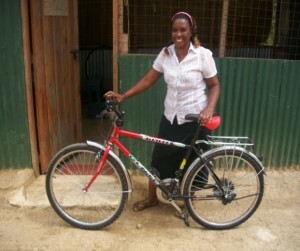 Christopher Plumb kindly bought a bike and with the added generosity of Mick McLoughlin, we bought two! The bikes are for the use of all in the village except when required by the Trust. 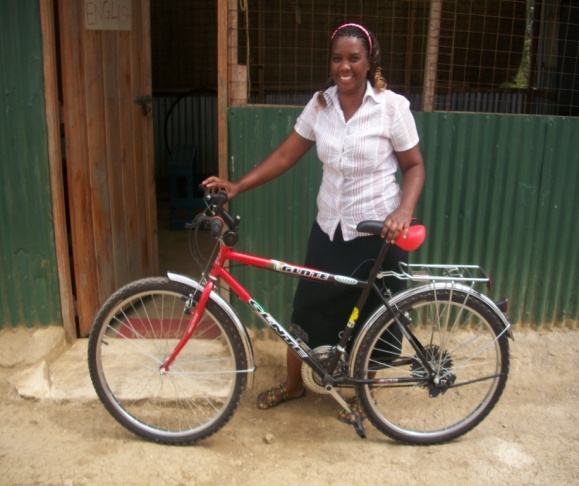 Fatuma, our teacher, uses one to get to and fro and is no longer dependent upon the infrequent bus! 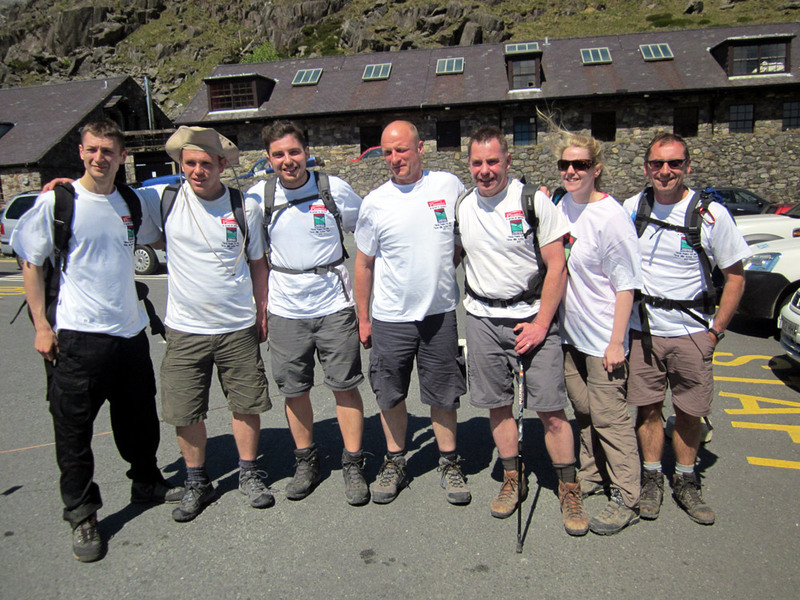 Also Fran and her colleagues in Barclays Bank Group HR who raised more than £7,000 helped by generous support from Barclays plc. 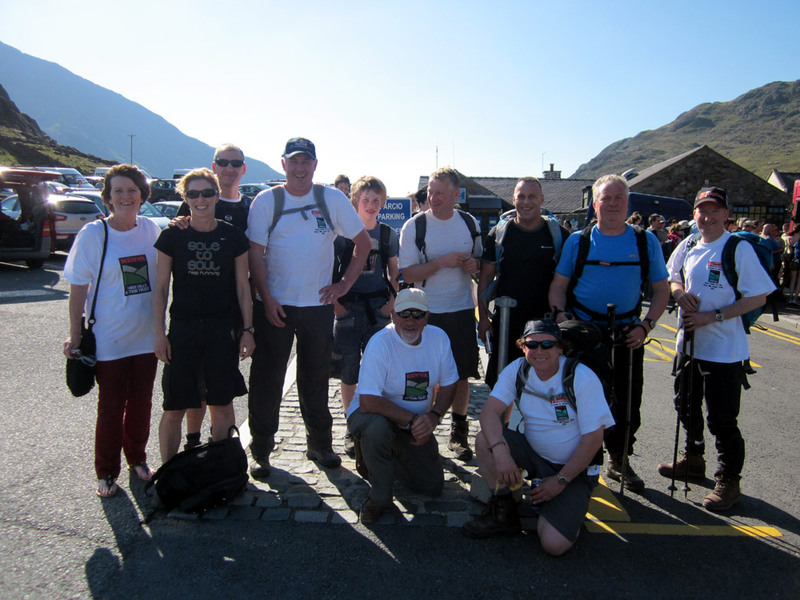 We call them the “Magnificent Barclays” and here is the group, apparently feeling fit and healthy just before tackling “The Three Peaks”! We are indebted to Freeplay and their MD John McGrath. 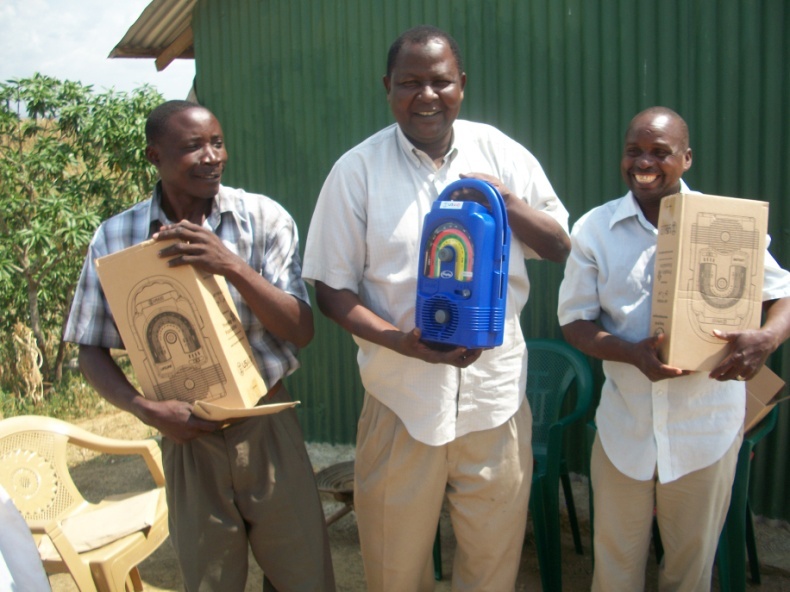 Freeplay are specialists in Solar and related radios, lamps etc. especially for remote areas in Africa and Asia. 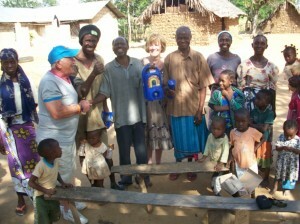 They have and are supplying suitable equipment for the village: the radios and lamps are used enthusiastically. They have made us a key partner. Above on the right a radio is given to a small hamlet in the district. 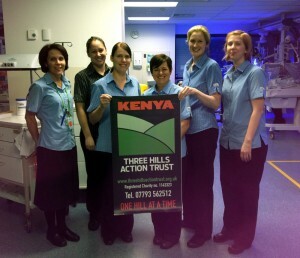 Thanks to Karen and all the staff in the Neonatal Unit, Mater Mother’s Hospital, Brisbane, Australia. 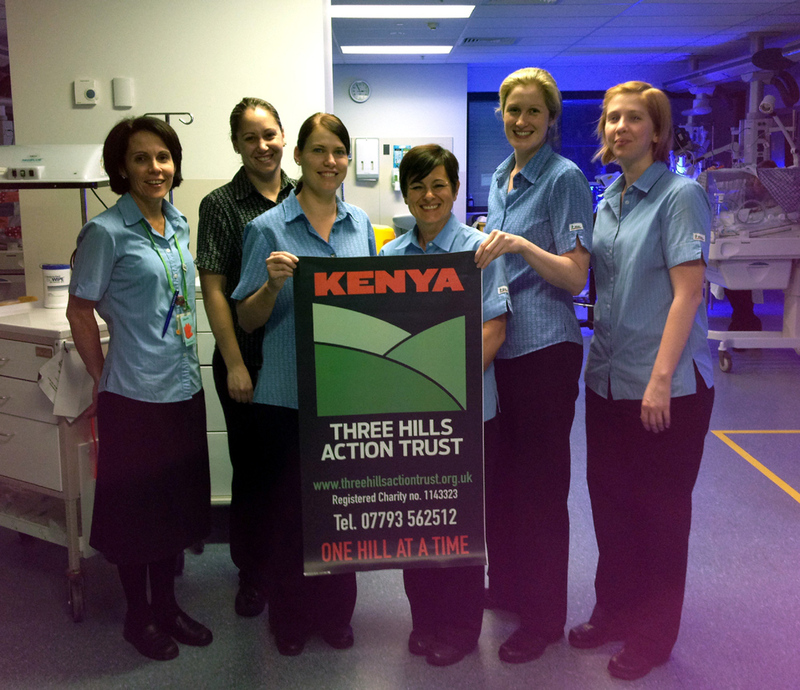 Karen runs a tuck shop in the hospital and all proceeds go to Three Hills Action Trust. 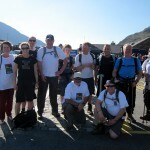 To date they have raised a massive £1022.32. Rutland Bike Ride on August 19th 2012. 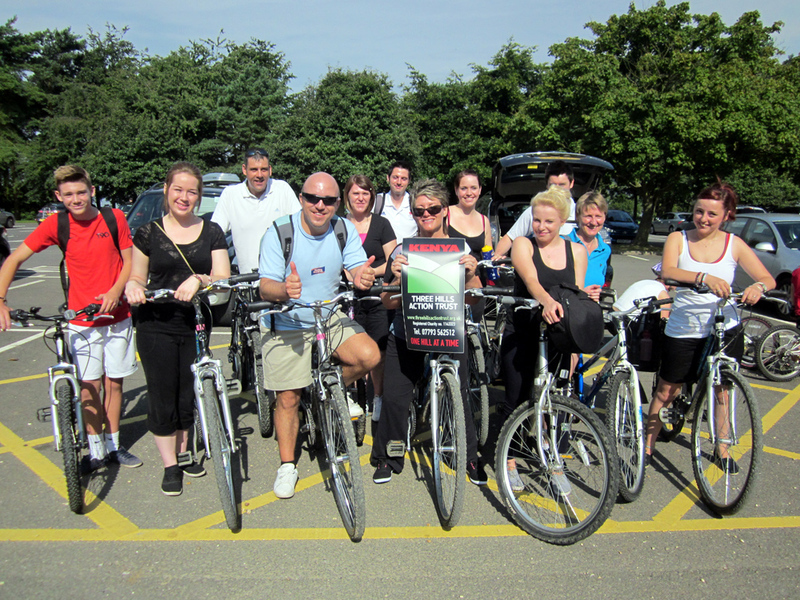 Staff and friends of Tonino’s restaurant, Market Deeping raised £590. Thanks to: Hayley Grossi, Antonio Grossi, Kaylee Ireson, Karen Bishop, Kev Bishop, Kathryn Foster, Adam Crowe, Danielle Gavaghan, Steve Marshall, Alex Kennedy, Katrina Kennedy, Reece Barfield. 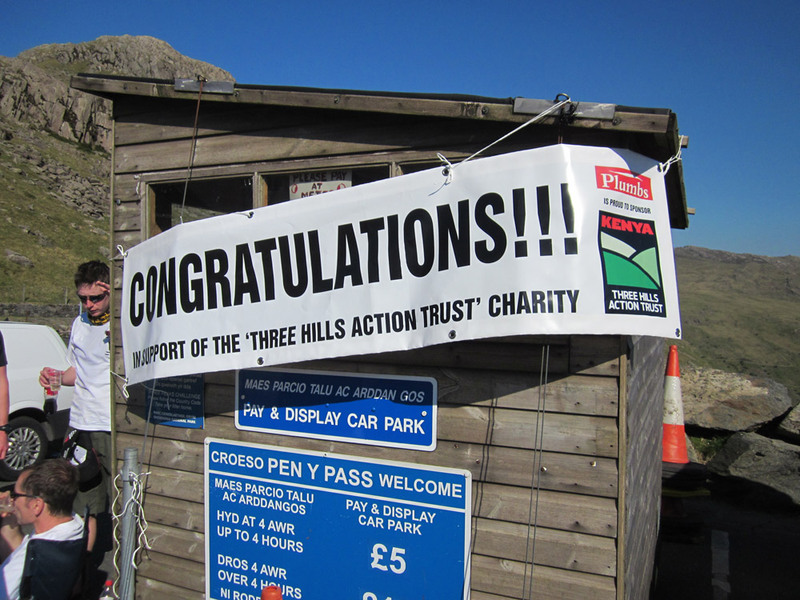 Have previously been very generous and have raised another £545 in November and December 2012 by sponsored physical endurance events – sit-ups, push-ups. Many thanks. Below the Nursery school children who did not need prompting to ask Fatuma for help to produce the “Thank You” card. 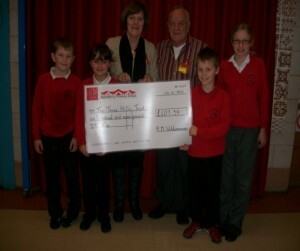 Below are Booth Ferry Primary School with the surprise and very generous cheque. 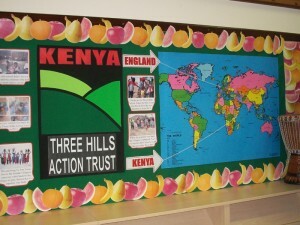 Part of the display created by the children at Booth Ferry P.S. We must also thank the Women’s Group at “Our Lady of Lourdes” in Thames Ditton who organised a cake and tea party raising a generous amount. We must also thank the many others from the professionals like Chopper Harris who entertained a vibrant party and helped raise funds and Jacqueline Lesley, the Psychic who provided a stimulating evening. 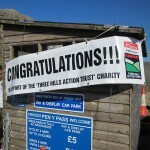 We won’t forget the many individuals who have made donations, nor will the villagers. 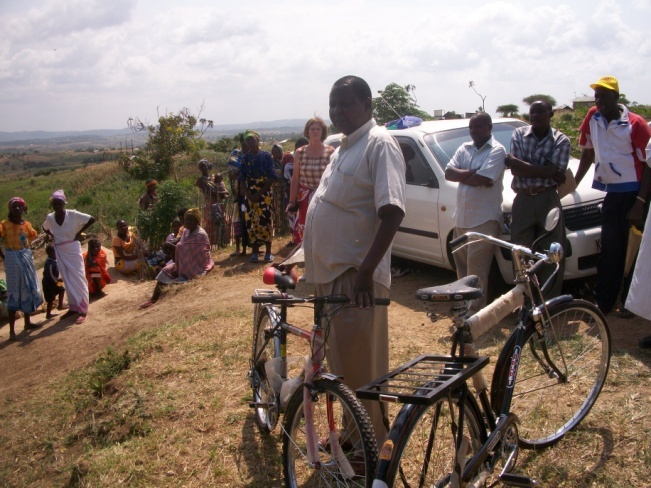 Thanks to you all from the Three Hills Action Trust and the people of Neema Nguuni and the district of Nguu Tatu. 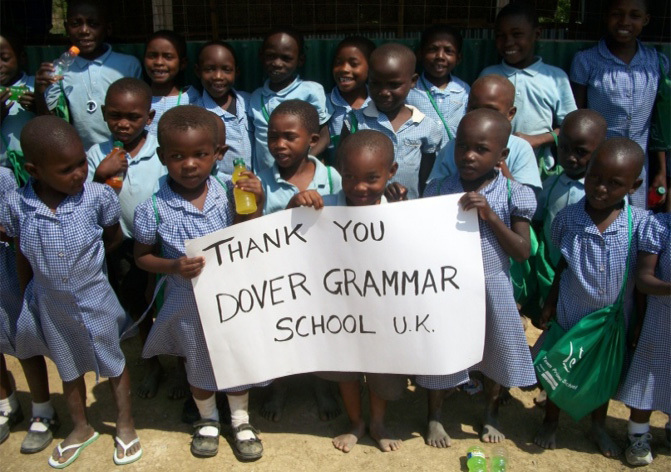 With your support, we can continue to help the community to make modest improvements to their environment.